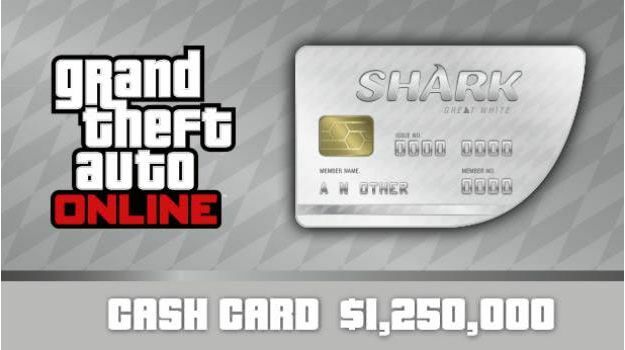 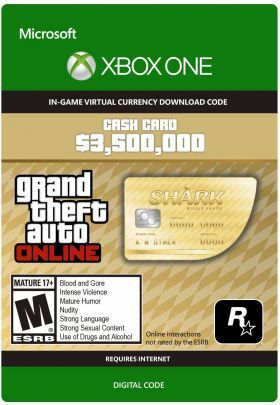 Purchase a "Whale Shark" cash card to get $ 3,500,000 in-game GTA dollars on your account in GTA Online. In-game currency used to buy weapons, vehicles, clothing and paraphernalia. 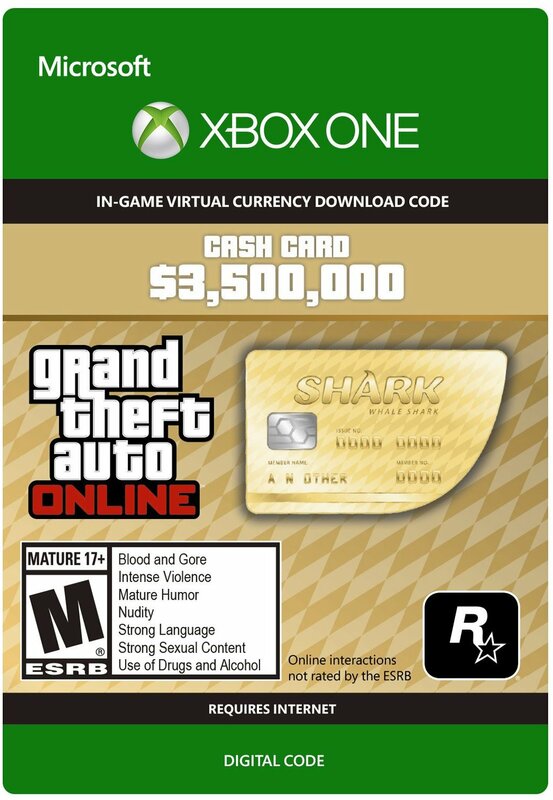 Note: To use the product requires a valid Rockstar Social Club account and a copy of the game Grand Theft Auto V, this product can only be activation on the Xbox One version of the game.